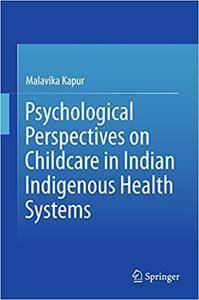 Malavika Kapur, "Psychological Perspectives on Childcare in Indian Indigenous Health Systems"
This book examines childcare in ancient Indian health systems from the perspective of developmental psychology. The author extensively studies ancient texts and charts from Ayurveda, Unani, Siddha and Tibetan medicines and analyses how gleanings from these systems can be useful in creating preferred practices for modern childcare systems. Though the four systems originated in different geographical regions, they share many common core constructs of a holistic approach consisting of mind-body unity. The core of psychological healing in these systems rests on bringing about harmony and balance of disturbed functions through diet, daily regimen and drugs. However, despite commonalities, understanding of childcare in the four systems varies a great deal. The differences seem to be rooted in local sociocultural, religious and folk healing practices. Remarkably, in all of them, prescriptions of drugs and behaviour are psychologically grounded and uncannily modern from the perspective of developmental psychology. 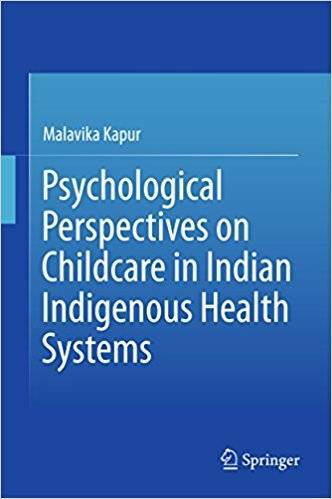 The book raises the following questions as important for further research: whether holistic approaches be adopted for the empirical study of indigenous health systems, where their strength lies; whether personality frameworks identified in the four systems can be incorporated into contemporary medical practice to its advantage; whether preferred childcare practices among the four systems can be studied empirically in current paediatric, psychological and parenting research; and whether faith, if it is of importance to the patient, can be incorporated as an element into contemporary medical practice.